Do you have a jam-packed schedule? If you’re like me, you probably have some go-to recipes you can throw together in a pinch. If the Low FODMAP Diet threw a monkey wrench in your backup plan, you can try these low FODMAP roasted vegetables. My husband and I love these low FODMAP roasted vegetables. While they’re technically a side dish, we usually make them for a hearty lunch. Since potatoes are so filling, this recipe is perfect if you’re in for a busy afternoon. It can also be scaled up or down depending on how many servings you need. This makes it an ideal side dish for parties and family holidays. Think these hearty low FODMAP roasted vegetables sound great, but you don’t have time to try them now? You can PIN THIS POST for later. One of my favourite things about this recipe is that most of the ingredients are FODMAP friendly. 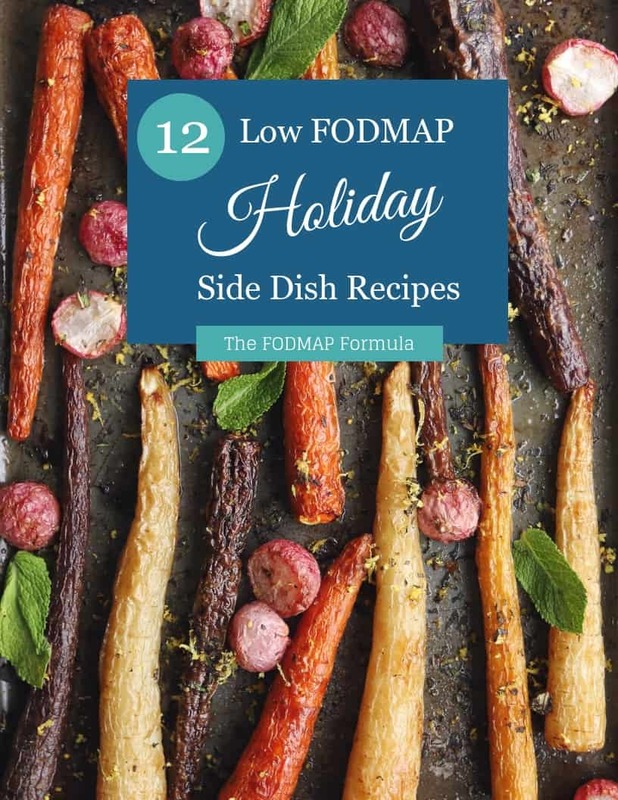 Check out the notes below for specific information on keeping these low FODMAP roasted vegetables FODMAP friendly. First, according to Monash University, potatoes, carrots, and bell peppers don’t contain any FODMAPs. This means you can eat as many as you want without adding to your FODMAP load. Just so you know, even though bell peppers don’t have any FODMAPs, they do contain capsaicin. This is the compound that gives peppers their spicy flavour. Aside from tingling your taste buds, it can also cause heartburn. So, if you suffer from an issue like GERD, dyspepsia, or general acid reflux, you can use fewer peppers, or cut them out, altogether. Next up is zucchini. The Monash app says zucchini is safe in servings of 1/2 a cup (66 g). 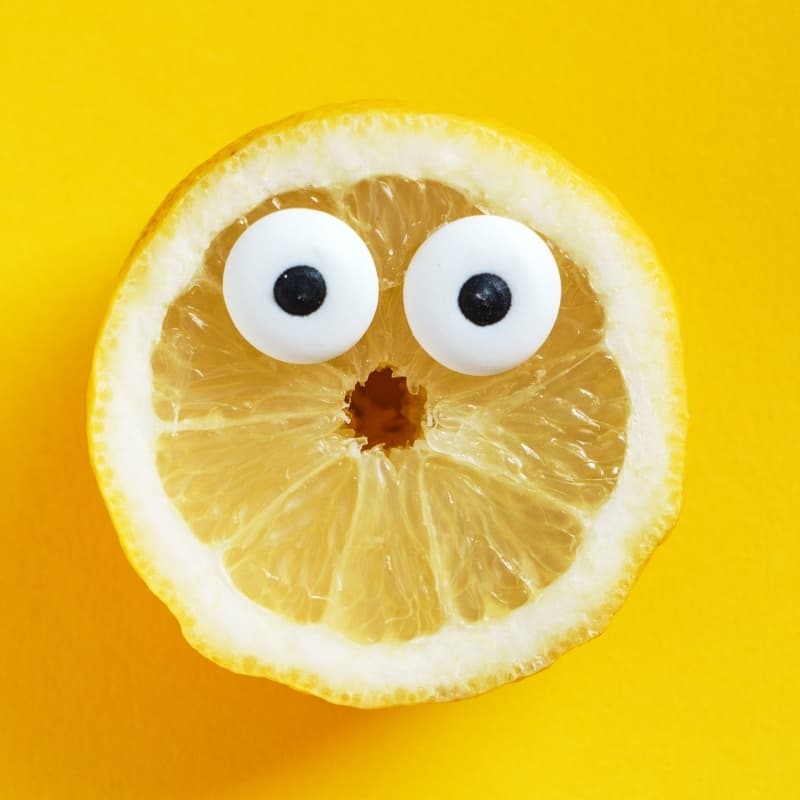 Monash recommends avoiding servings over 100 g or more, as they’re high in fructans. This recipe uses one zucchini (about 1.5 cups), which works out to 49.5 g per serving. This is within the recommended serving size. Our final ingredient is feta cheese. According to Monash University, feta cheese is safe in servings of 1/2 a cup. This recipe uses 1/4 cup, which works out to 1 tbsp per serving. This is also within the recommended range. While these low FODMAP roasted vegetables are delicious on their own, they also make a great side dish. I like to pair my roasted veggies with meats like pork tenderloin, steak, or my seasoned chicken breasts. Fun fact: you can also make this recipe on the barbecue. This is handy if you’re trying to keep your kitchen cool in the summer, or if you’re cooking your main dish on the BBQ already. Since the temperature will be a little higher, make sure you check your veggies often after 15-20 minutes so they don’t get too crispy. Want to try these low FODMAP roasted vegetables? Don’t forget to PIN THIS RECIPE for later. Need a quick and easy FODMAP friendly recipe? Try these low FODMAP roasted vegetables. Ready in under 30 minutes, these roasted vegetables will fill you up and add some FODMAP friendly fiber to your diet. Preheat the oven to 425 degrees. Place all of the veggies (except the zucchini) in a roasting pan with salt, pepper, garlic infused olive oil, and dried rosemary. Roast uncovered for 30 minutes. Shake them every ten minutes so they don't stick - add the zucchini on the first shake. Once the vegetables are tender, place them in your serving dish and add your feta and fresh rosemary. Serve warm. Hopefully, these low FODMAP roasted vegetables will get you through your next schedule crunch. If you like this recipe, sign up for my mailing list below. You’ll get new recipes and articles delivered right to your inbox. Want more recipe ideas? Follow me on Pinterest for more low FODMAP inspiration. Together we’ll get the Low FODMAP Diet down to a science!